The staff of Peachtree Presbyterian Preschool comprises approximately 75 employees. One of the strengths of the program is low staff turnover. Co-teachers are assigned to each classroom. In general, teachers hold Bachelor’s degrees in Early Childhood Education, Elementary Education, Psychology, Child and Family Studies, Child Development or related fields of study and have a minimum of two years experience working in an early childhood setting. Many of the teachers have completed a Master’s degree in Early Childhood Education. These committed teachers are leaders in early childhood education and provide modeling and mentorship both within and outside the program at the Preschool. The administrative staff includes the Director, Assistant Director, Co-Directors of Educational Practices, Director of the Inclusion Program, Co-Directors of Communications, and Administrative Support each with years of experience within the early childhood field. The Directors of the Preschool are visionary and innovative and seek to support families and staff as they journey with young children through their first education experience. They work to build a community of children, parents, and educators to develop a program which upholds the primary purpose of the Preschool: the spiritual, physical, social, cognitive and emotional development of its students. Resource educators and support staff coordinate and collaborate with classroom educators to develop integrated experiences. 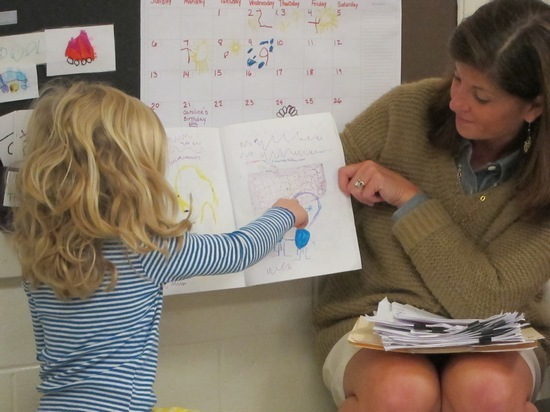 The Preschool offers extensive opportunities for professional development in which all staff participate. Over the past four years, Peachtree’s educators have concentrated particularly on understanding and interpreting the principles and inspirations of the schools of Reggio Emilia, Italy, to enhance the quality of the school’s program. The Preschool is a practicum site for Georgia State University. College students may assist in classrooms as part of their educational experiences and practice. These students bring a rich diversity of perspectives into the program and leave with important practical experience to use in future work with children and families.